The Programa de Aceleração do Crescimento (Growth Acceleration Program), known as PAC, is an umbrella term for thousands of major infrastructural projects commissioned by the Lula government in 2007. Economic growth in Brazil since 2005 is thought to be largely a result of the food and oil commodity sectors, however hesitant investors have pointed to the global food crisis and gross over-speculation of the oil reserves as reasons for the economic boom. Lula followed previous policies laid out in the Cardoso administration including cutting interest rates and renewing Brazil’s agreement with the International Monetary Fund (IMF) to decrease the national debt and stabilize inflation rates resulting in benefits for the elite. Although it is clear that Brazil has experienced increasing levels of macroeconomic growth, this has certainly not guaranteed resource equality throughout the population. This mirrors a pattern of inequality in wealth accumulation throughout Brazilian history. Programs like PAC claim to benefit the millions living in poverty however, end up reinforcing a paradigm of inequality already institutionalized in Brazilian society. On the western shore of the Guanabara Bay of Rio de Janeiro lies the small fishing village of Mauá-Magé, where the water that laps at the shore is dark green with severe algal blooms reflecting the toxic imbalance of the water. 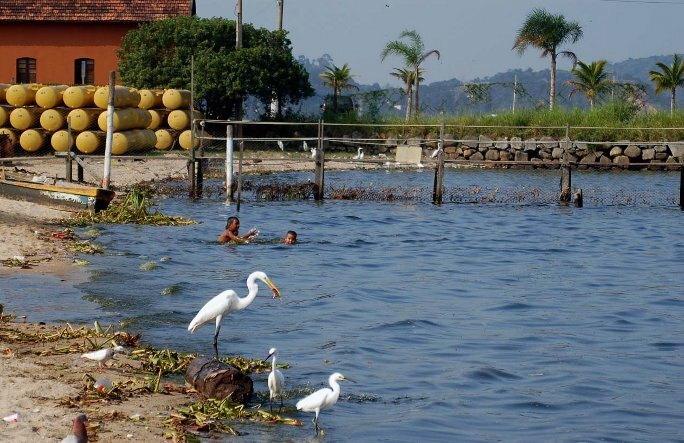 The picturesque village lies just a few kilometers from the Rio de Janeiro Petrochemical Complex (COMPERJ), one of the largest investments in the history of Petrobras (Brazilian semi-public multinational energy corporation) and part of the Brazilian government’s PAC.